What a strange little record this is - an otherworldly collection of gothic folk and twisted indie rock. 23 year old Brit Crook has a similar uncatagorisable skittishness we fell in love with listening to similarly precocious young 'un Bright Eyes, but what we are treated to on 'Accidents Occur Whilst Sleeping' is markedly more English. Without the cynical sideswiping of Oberst, Crook instead concentrates his ideas on creating a Tim Burton-esque world of worry, wonderment and weirdness. I imagine he dreams of very young girls with large eyes wearing spiralled black and white clothes... but enough about that. 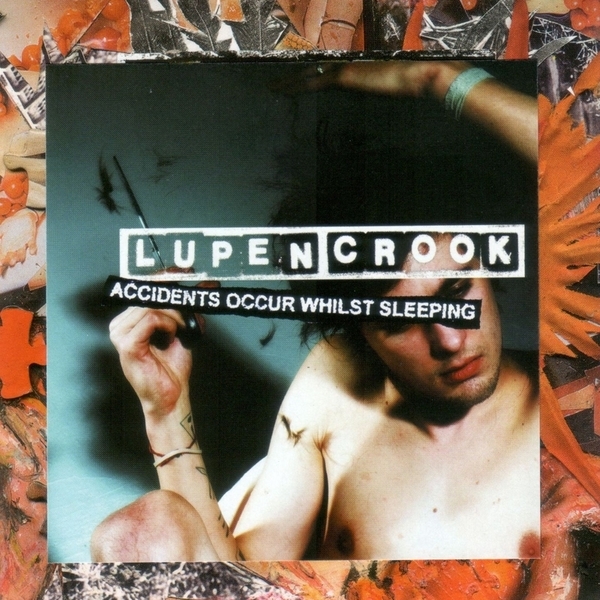 Apparently the NME have already been hyping Lupen Crook as the next big thing to his indie music, I don't know if this has the crossover appeal to get non-initiates salivating, but it's a valiant effort from a peculiar talent.